It happened last week. I couldn't sleep throughout Tuesday night. My tummy was bloated, most probably due to the oily food taken in the afternoon. I even caught slight fever when woke up the next morning. I felt like vomitting till I couldn't walk and send my kids to school. I was determined to nap for the whole afternoon, as I must recharged my energy for the event that night. It was my hubby's pub opening night. 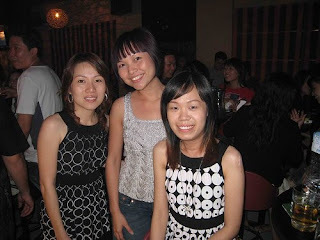 I insisted to drag my weak body for the night clubbing as my friends are going too. 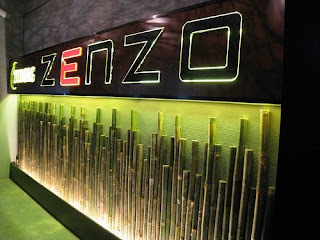 ZENZO Bar & Bistro among the Greentown Business Centre area. Hubby recommended new drinks to me. He said that it suits ladies' taste. 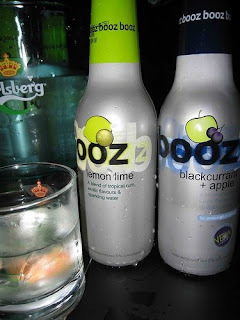 Of course, the drinks contain low percentage of alcohol. I just took a few sip as my stomach was still not so well. Not sure which flavour I took, but I don't like the taste. It tasted like cough mixture to me. Maybe, I still recalled the taste of medicine I took earlier the day! There was something embarrasing happened on that night! Shoppingmum is right. We should consider picking up knitting interest. Anyway, it is a bit too costly for me at this moment. Maybe in future, own knit wear could be the unique apparel for myself! We didn't dance that night. Maybe we didn't drink much till we steam and made our bodies move. 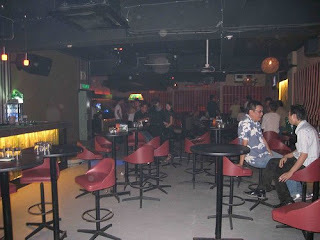 We just enjoyed the live band and chit chat with friends. I couldn't stay longer as I needed to rest early. I went home at around 11:30pm, but my man still had to stay and work. Well, business was not bad that night. Well done and keep it up, hubby! Congrat on your new blog!